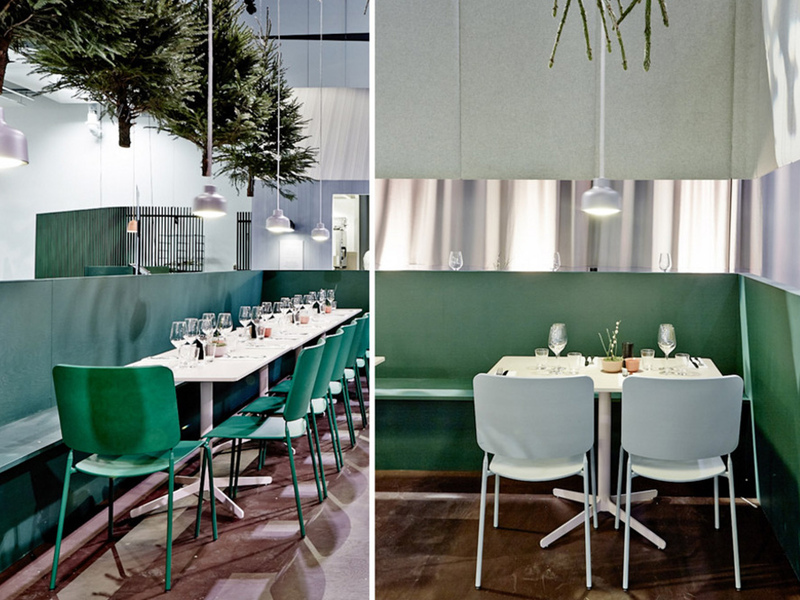 Here are just a few glimpses of the Fager/Myllymäki pop-up restaurant at the 2014 Stockholm Furniture Fair. 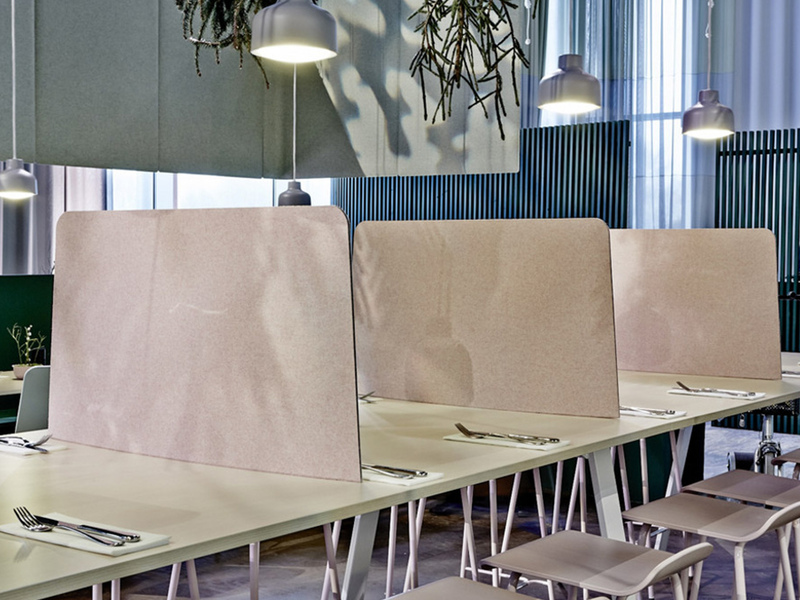 Many people know that we furnish offices, but our furniture also works perfectly to create a pleasant atmosphere in a restaurant setting. We think that the objectives were completely fulfilled. 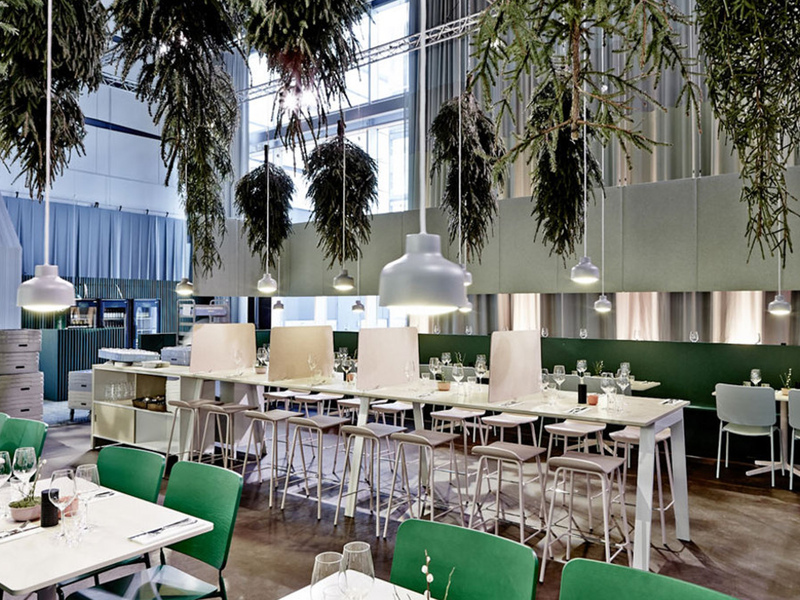 A restaurant where food and decoration interact on a number of levels with Swedish ingredients – simplicity and refined elegance in both food and decor. The long, tall Piece table was separated into “private rooms” using Ease table screens, and the guests were comfortably seated on tall Feather bar stools. 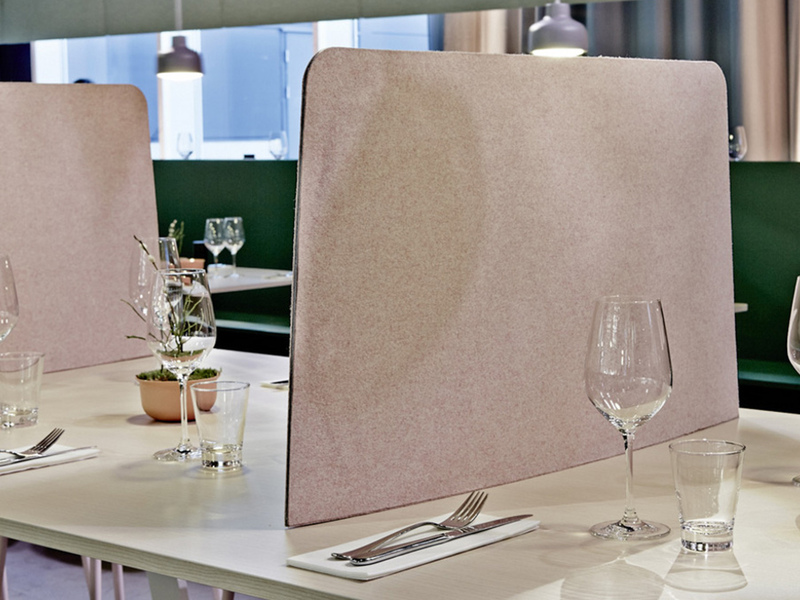 Feather tables and chairs also helped to create the atmosphere, framed in turn with hanging Ease screens. Many thanks to Jens Fager and Tommy Myllymäki for a fantastic effort!